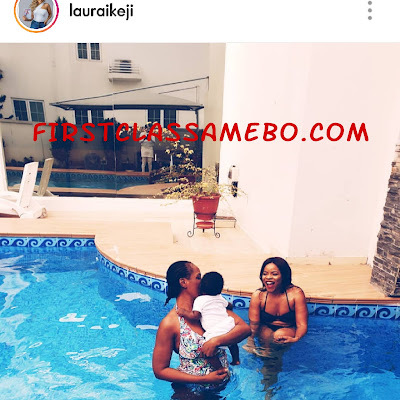 Barely few weeks after going public about her relationship with the father of her son, Linda posted a picture of herself and her son in the pool without a life jacket for the little boy. Why would you ever think of taking a baby to the pool? Sometime this year we lost Dbanj's baby boy to this same type of negligence. Is she really capable to take proper care of her baby?